Surrounded by Boston’s top restaurants, shops, and parks, W Boston is undoubtedly one of the newest luxurious and exclusive residences in town. A short walk to the Boston Common, Public Gardens, Theatre District and retail stores like Burberry, Armani, and Hermes this residential high-rise is at the center of it all. A 24-Hour concierge greets guests round the clock. The kitchens are all built with Wolfe appliances and granite countertops. Hardwood floors throughout every unit help exhibit the modern design of this building with floor to ceiling windows. Residents may enter through the luxury W Hotel or through their own private entrance. 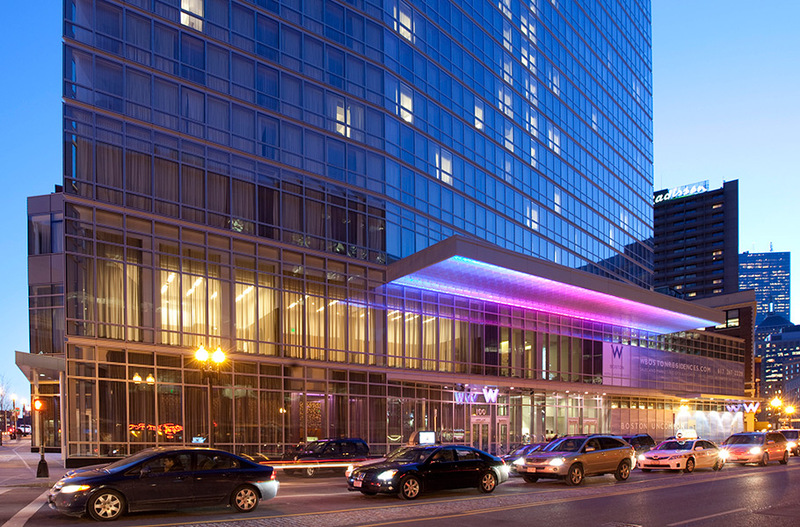 Live the W Hotel lifestyle. One of the most perfect FURNISHED studios in the city through floor-to-ceiling glass with sprawling views of Beacon Hill, Public Garden, Charles & State House. Morson Collection designed interiors with furniture imported direct from Italy including custom desk dresser & Tiffany dining set. Sleek full-size kitchen equipped with professional grade Wolf, Sub-Zero, and Bosch appliances, custom Rosario cabinetry, granite countertops & stainless steel backsplash. In-unit Bosch W/D, Bamboo flooring throughout. Bath with oversized glass shower. Enjoy world class amenities w/signing privileges, including a dedicated W- uniformed residential staff w/24-hour concierge, W's signature Whatever/Whenever service, in-residence-dining, dry cleaning, & more. Access the W gym, FIT, W Lounge, The Gallery, Bliss Spa, W lifestyle programming, & daily coffee service. Central location in Back Bay/Midtown, minutes to Newbury/Bolyston St, Beacon Hill, 2 T stops, shopping, dining. I have a question about the property at 110 Stuart Street Boston MA 02116 (#72485272). I would like to schedule a visit for the property at 110 Stuart Street Boston MA 02116 (#72485272).